Illustration for "War on Bear Creek"
Illustrations : Contains the original artwork that was published with the original pulps. See the complete listing in the Notes. 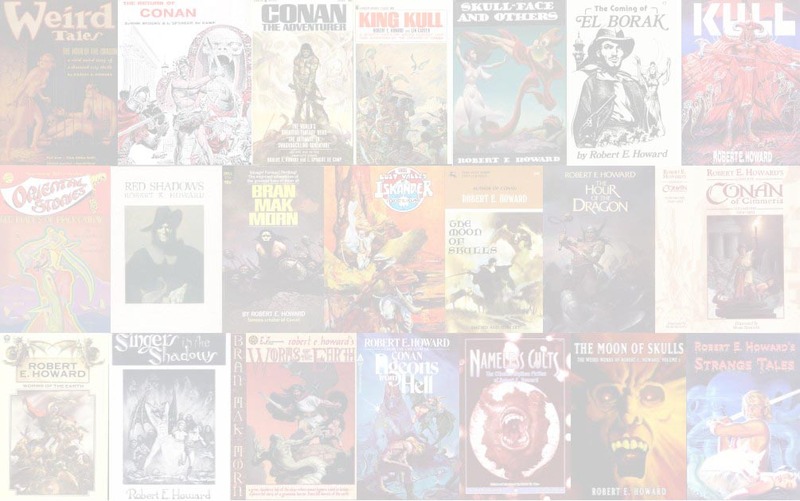 "The Sign of the Snake"
"A Gent from Bear Creek"
"The Road to Bear Creek"
"The Riot at Cougar Paw"
"Evil Deeds at Red Cougar"
"The Conquerin' Hero of the Humbolts"
First printing limited to 50 copies that sold out in a week. 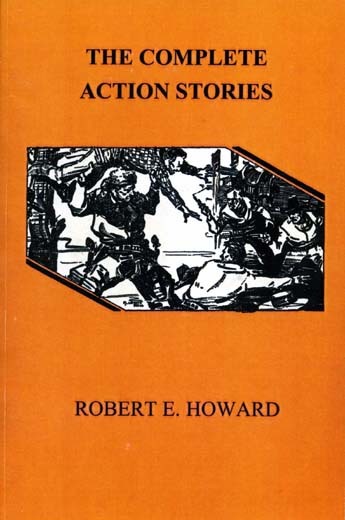 the artwork, and says "Robert E.Howard" on the cover, no space between the "E." and "Howard." Both errors were corrected on later printings. Total copies printed was less than 350. Frank McAleer - "The TNT Punch"
Amos Sewell - "The Sign of the Snake", "Blow the Chinks Down! 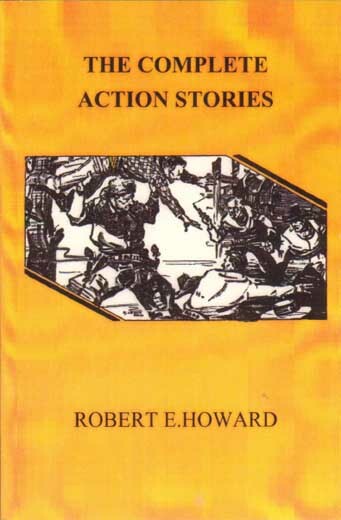 ", "Breed of Battle", "Dark Shanghai"
Mountain War", "Pilgrims to the Pecos", "Pistol Politics", "Evil Deeds at Red Cougar", "High Horse Rampage"
L. Bjorklond - "Road to Bear Creek", "The Haunted Mountain"
Leslie Ross - "War on Bear Creek", "The Feud Buster", "No Cowherders Wanted", "Conquerin' Hero of the Humbolts", "Sharp's Gun Serenade"